Kevin: We build and maintain cryptocurrency mining rigs. The mining rigs that we assemble mainly mine Ethereum. We also help clients build mining farms. We source for the location, handle the electrical set up and operations of the mining farm. Mark: We also run courses teaching participants how to trade cryptocurrencies. We guide them through setting up their wallet, account on the various exchanges and the eventual cashing out of the cryptocurrency into fiat currency. Kevin: I graduated from NTU with an honours degree in Accountancy. I have been in the real estate market for about a decade. Mark: I too graduated from NTU but my degree is in Engineering. I have been in the finance sector for over a decade. Mark: We mainly build Ethereum mining rigs which help to solve various calculations which maintain the Ethereum network. 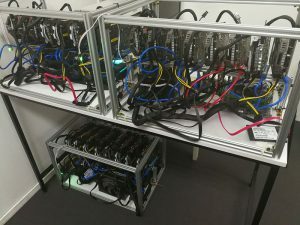 The mining rigs are just your usual computers with multiple graphics cards because they need substantial computing power to solve the equations. Think of these rigs as accountants maintaining a global balance sheet. The work that is put in by these rigs is rewarded by Ethereum. We have clients who purchase a few rigs to people who ask us to set up mining farms with over hundreds of rigs. 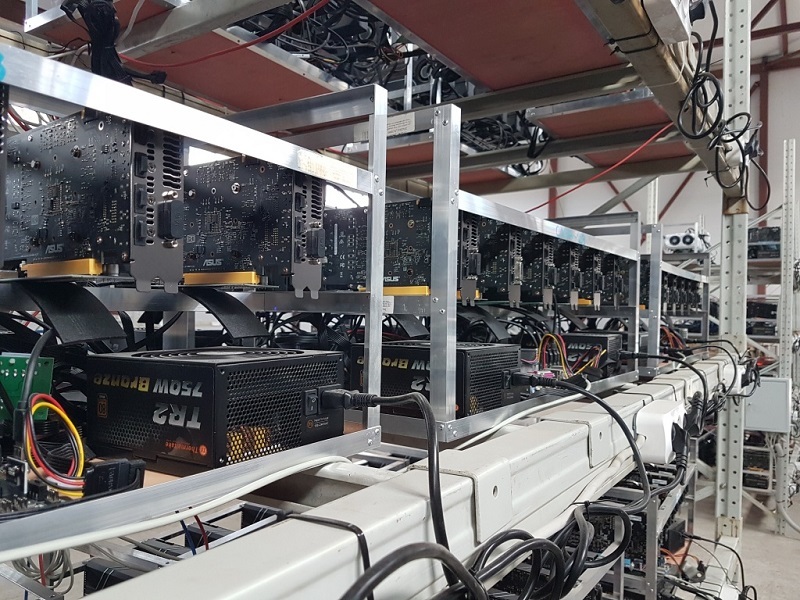 We have experience setting up just about any type of mining farm to mine just about any cryptocurrency. Kevin: We have a very wide range of clients. We have your common man on the street who would like to invest in a mining rig or two to generate him some passive income. We also have rich institutional clients asking us to set up huge mining farms with hundreds of computers. We even have clients who are getting us to set up a mining farm in Brunei! Kevin: We believe that cryptocurrency is here to stay. There are many applications to cryptocurrency which can benefit society. We believe that it is still early times in our industry. How the future pans out is dependent on governments around the world and whether they decide to regulate this unregulated asset. We hope that people will understand this technology before passing a judgement. If anyone would like to know more about cryptos, please contact us directly and you can sign up for our periodic free seminars. Mark: We do hope to expand our business overseas. For now, Singapore is a good place to set up mining farms with good security and little government intervention. However, we do hope that we can play a part in propagating cryptocurrency mining to more people.